The Board want to achieve improvement to the health and wellbeing of all residents in Devon. 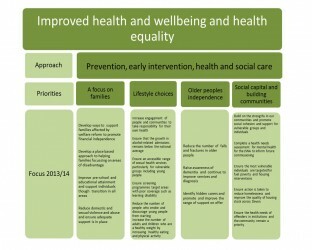 However to achieve health equality it will be necessary to provide a focus on some local communities and groups in Devon to improve the health and wellbeing in these areas and for these groups more quickly to address their health gap. 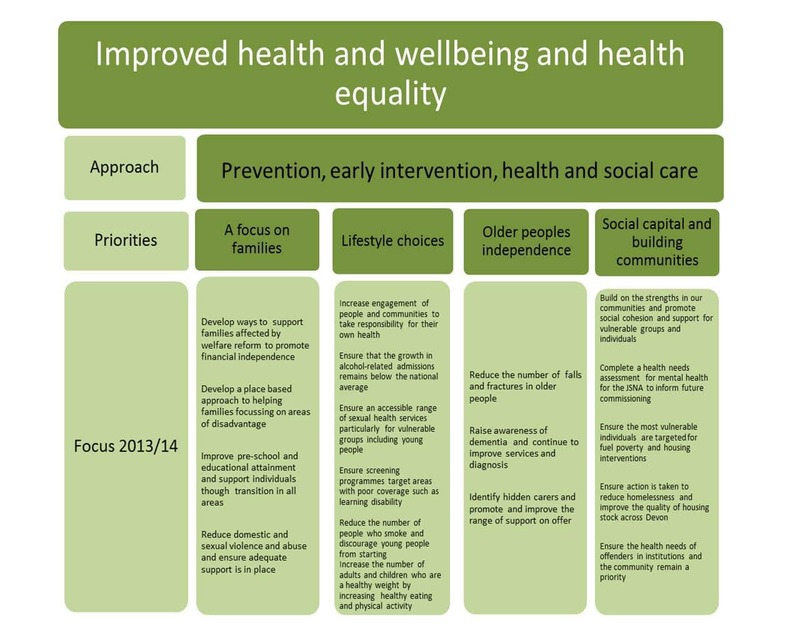 To improve healthy life expectancy the Board have committed to prevention and early intervention as well as effective and quality health and social care and treatment. The focus for collective action in 2013/14 have been summarised in Figure 7.